I love audio books. They are great for so many things- when mom is sick and needs a break, when mom is not sick and needs a break, road trips, quiet times . . . the list goes on and on. Our favorite audio theater company hands down is Heirloom Audio Productions. We’ve had the pleasure of reviewing many of their products in the past. This time we received In the Reign of Terror. The Heirloom Audio Productions are known for their spectacular sound and voice quality, lively action, and all consuming story lines. This latest installment has been no exception! 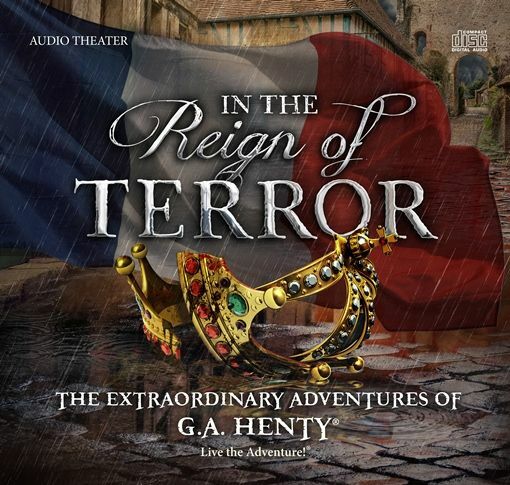 Following (16-year-old) Harry Sandwith as he visits France, In the Reign of Terror is the story of the French Revolution through the eyes of a young man. The story opens with Harry staying with the Marquis and the Dowager Marquise de St Caux and their children. Friendships are forged and fun adventures are had before France is thrown into chaos as the Royal Family is hunted and any citizen of noble blood is considered the enemy of the common man. Because Harry is staying with nobles, he finds himself, along with the rest of the family, on the run. They abandon all they know to try to save their lives. Sadly, not all of them make it. They face many difficulties and heartbreak through the story, close calls and unfortunate events are sprinkled within. Bravery, loyalty, and courageous love are resounding themes in this wonderful story. In the end, some find a happy life while others lose theirs. Because of the (sometimes extreme) violence in the production, I would recommend this for ages 8 and up. We listened to it in the van while driving out of town and there were some parts (a demon [not really demon, just a very large, very scary wolf that has attacked and consumed many people] wolf for example) where I glanced back to find my six-year-old son quite concerned. There are also mentions of mass drownings and other undesirable ways to die. It’s quite vivid. Not gross or distasteful, but accurate, and necessary to understand the times in which these people lived. Along with the In the Reign of Terror CD, we were also granted access to the Live the Adventure Club. Live the Adventure Club is an amazing community and resource all in one. Within the Club, you’ll find forums to chat with other Henty fans, homeschooling parents, and fellow history lovers. There you’ll also have access to your Library which is where you’ll find any of the Henty productions you’ve ordered. For each production, there is a multitude of bonus features. You can listen online, reading along with the script (my personal favorite bonus). This really came in handy with all of the French being spoken. The French names were hard for me to get a hold of until I was able to read along and see the words and names they were pronouncing. Check out the screenshot below. The words highlight as they are read. But the coolest part is that you can see set info, like who is in each scene, how they are speaking, what’s in the background . . . it’s really neat. There is a downloadable study guide that goes along with the story. It is helpful for taking younger children through the storyline and its lessons. 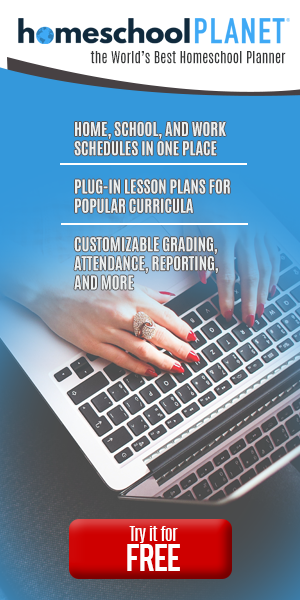 It can be used for written assignments for older students. There is a recommended reading list for parents and older children who want to know more about the French Revolution. You’ll find Bible studies that can help your family better understand some of the biblical themes that are woven into the story. There are also some brief essays that provide historical background for the story. And of course, there are questions to go along with the narrative- some critical thinking, some obvious ones that are pulled directly from the text, and some vocabulary building. You have the option to read the study guide online or print it out. It is very colorful so for me, printing it out isn’t very practical. However, this is where the Live the Adventure Club comes in again. There are questions and vocab there, too! You’ll also find the chapter quizzes. Really, the Live the Adventure Club takes learning about and enjoying these wonderful Henty productions to a whole new level. You’ll definitely want to check it out. They’re running a promotion right now. For just $1 you get a 3-month membership to the site and they’ll send you a 2-CD set of Captain Bayley’s Heir, plus you’ll get instant access to the digital version. We’ve managed to collect every Henty production put out by Heirloom Audio Production so far; they have a permanent place on our homeschool shelves. Giveaway Winners Announced! Was it you?